Whether you bill by the hour or you just need to know how much time a job took, Kanbanize makes it easy. Time is money and we know it. Get detailed reports to visualize hours spent on tasks or entire projects. 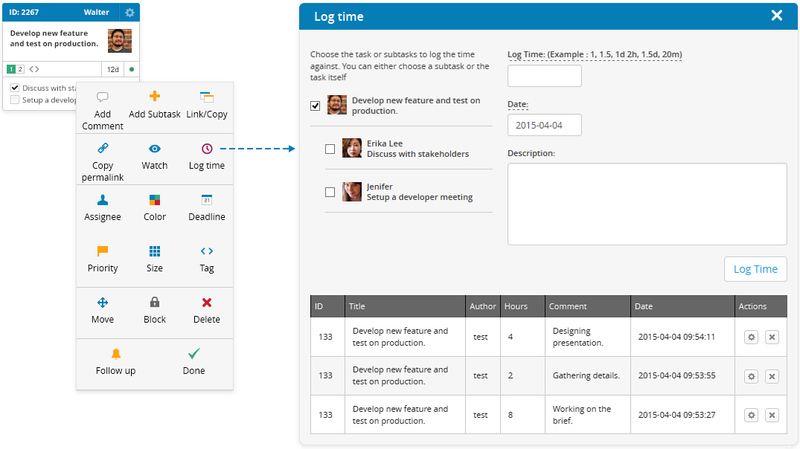 Logging working hours on a Kanban card is easy and you can do it on the card or subtask level. With Kanbanize you have a set of built-in Excel reports to extract all worklog entries for your entire team. The extensive analytics module allows you to draw charts and explore how the distribution of working hours changes and what trends are present in detail. This is a real-life analytics chart. Go ahead and interact with it.